Alcedo capensis Linnaeus, 1766, Chandernagor, West Bengal. 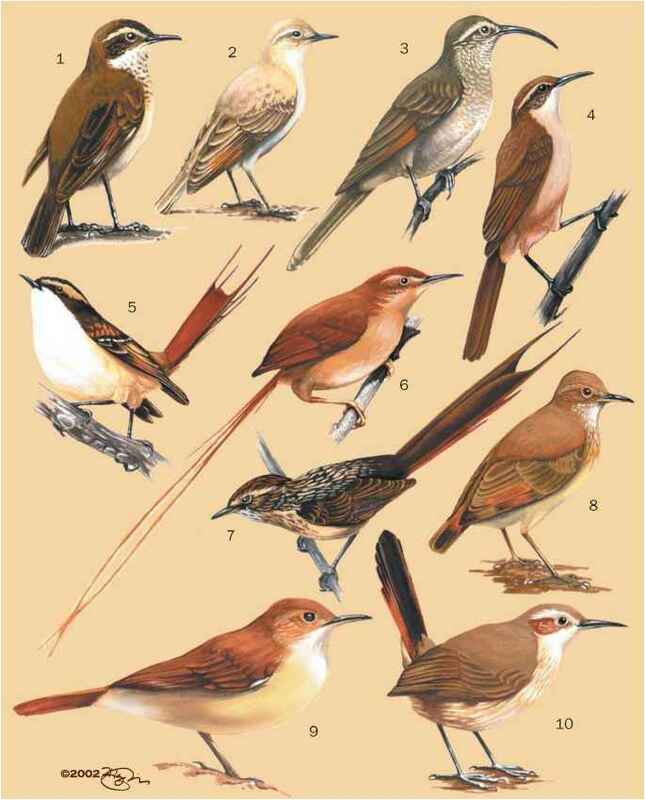 At least 16 subspecies. English: Brown-headed stork-billed kingfisher; French: Marin-chasseur gurial; German: Storchsnabelliest; Spanish: Alción Picocigüeña. 14 in (35 cm), 5.0-7.9 oz (143-225 g). Large kingfisher with red bill and feet, varies from dark blue to pale turquoise above, rufous to white below, on head and on neck. India east to China, Vietnam, Philippines, Borneo, and Lesser Sundas archipelago, including many intervening islands such as Java, Sumatra, Andamans, and Sri Lanka. Stream and river banks up to 3,900 ft (1,200 m) above sea level, in forest, open woodland, and mangroves on the seashore, even among plantations and paddy fields. Perches on snags close to or over water. Main call a series of harsh cackling notes, uttered at perch or in flight. Spends long periods watching for prey, sometimes slowly bobbing head or wagging tail. Dives into water or to the ground to capture food, then returns to perch to soften prey. Diet mainly aquatic, such as fish, crabs, and prawns, but also frogs, lizards, mice, and insects. Known to catch prey flushed by otters. Monogamous breeding pairs are aggressively territorial. Excavate nest cavity in river bank, flat ground, rotten wood or arboreal termitaria, rarely use natural tree hole. Nest tunnel about 4 in (10 cm) wide, 3 ft (1 m) long, ending in 9-12 in (23-30 cm) diameter chamber in which two to five eggs are laid. Details of nesting cycle unrecorded. Not threatened. Widespread, locally common, and occupies wide range of habitats. Human disturbance may cause local disappearance.